TVXQ's Changmin recently appeared on the latest broadcast of KBS2TV's Entertainment Weekly. During the "Guerilla Date" segment, he revealed his previous dating experiences. 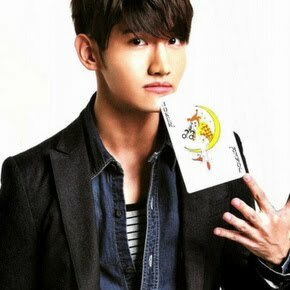 When the interviewer, Kim Seung Min, asked Changmin why he has never had a scandal, he replied, “To say that I’ve never dated with someone of the opposite gender after my debut would be a lie.” Changmin had actually been seeing someone while the five members of TVXQ were carrying out their activities together. @kolockading hahahahaha; I was thinking that, too! Of the opposite gender? O_o, Lol, i don't see why he added that in, that kids as straight as an arrow. Either way, I hope he gets to date more often. Hardworking nice guys like him should have a woman around to keep them happy and relaxed.